Join us June 15 at 6pm to learn more about our upcoming 16 week teacher training program starting this fall. May 4th 2018 Friday from 6:00 pm to 8:00 pm. Rise your Vibration and Live your Bliss with Stephanie MODAVIS- Join Stephanie as she visits us from New York and shares her passion on how to live your life to the fullest through Emotional Intelligence, Family and Physical tools, and Practicing Steps and getting started on the Journey . register on MindBody or at the studio. If you're new to yoga, just getting started with an exercise program, have limited mobility or are just looking to reconnect with the basics - this is YOUR class! Join Martha every Saturday at 8 a.m., starting in November. 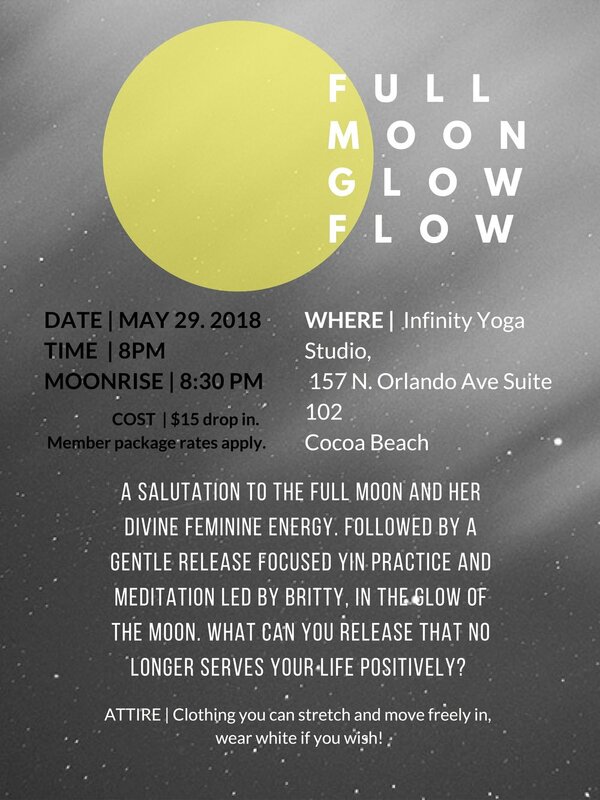 Ginger, Grapefruit & Rosemary, MindFrameGear and Infinity Yoga have partnered together to bring you a night of "Fashion with a Purpose" in celebration of Inifinity's 2 year anniversary. GG&R and MindframeGear will be putting on a fun fall runway show at the studio! Tickets are $5 and all proceeds from the show will go to Second Harvest Food Bank. Our Gratitude Yoga class donations raised $350.0 for the Second Harvest Food Bank in November . Thank you for their generous donations. We are pleased to welcome Yumi Ishizuka to the Infinity Yoga and Wellness team. Yumi has over 9 years of yoga instruction experience. She will start teaching Core 26-2 on November 16 at 6:30 PM. Our studio is undergoing renovation. We will not hold class on Thursday, October 29. We will be open for class on Sunday, November 1. We are offering a complimentary Warm Vinyasa yoga class on Sunday, October 18 starting at 9:30 AM. The class will last for one hour. All levels are welcome.